Ms. Johnson currently serves as Chief Operating Officer of Reneo Pharmaceuticals, Inc. in San Diego. She is on the Board of Directors of AmpliPhi Biosciences, a US public biotechnology company and on the Board of Directors of MorphoSys AG, a public biotechnology company located in Munich, Germany. In addition, Ms. Johnson is on the Board of Directors of the Clearity Foundation, an non-profit providing organization providing ovarian cancer patients and physicians make better informed treatment decisions. Previously she served on the Board of Directors of the University of California Moores Cancer Center. She has over 30 years’ experience in drug development, venture capital, licensing, strategy, and corporate development. Until January 2014, Ms. Johnson served as the President & CEO of Aires Pharmaceuticals which was acquired by Mast Therapeutics. In this role she raised over $40M of venture financing and entered into a $250M acquisition option agreement with Novartis Pharmaceuticals. In her professional career she has successfully licensed multiple value-generating therapeutic products, negotiated acquisitions, and established several international strategic alliances. 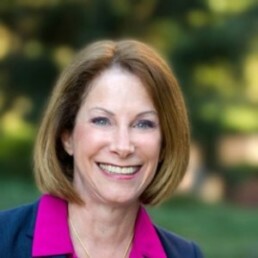 She served as Senior Vice President, Corporate Development, at Salmedix Inc., where she led the effort to in-license their lead cancer therapeutic; the company was successfully sold to Cephalon/Teva for $200M and the key asset has become the standard of care drug for treating hematologic cancers generating $1B annually in the United States. Ms. Johnson has additional experience with medical devices, diagnostics, drug discovery and development, and regulatory affairs. Additionally, Ms. Johnson served as Assistant Director with the Center for Devices and Radiological Health at the U.S. Food and Drug Administration. Ms. Johnson holds an M.B.A. from Loyola University, an M.S. in clinical microbiology from the Hahnemann Medical School and a B.S. in microbiology from the University of Maryland.